For as long as we’ve known him, Brad Garlinghouse has not been one to mince words when talking about the world’s biggest cryptocurrency. He has continuously branded it as the Napster of cryptos, a pioneering platform whose technology and approach made it impossible to achieve success in the face of new and better technologies such as Spotify and Pandora. In his latest attack, the Ripple CEO claimed that Bitcoin will never become the primary cryptocurrency and that no major economy would allow that to happen. He further claimed that Bitcoin is controlled by China, making it even more unsuitable as a primary crypto for the future. Garlinghouse was speaking at the 2018 Stifel Cross Sector Insight Conference and talked about various issues regarding the crypto industry’s current state and what the future holds. However, what stood out were his strong views on Bitcoin. He was adamant that Bitcoin can’t be the primary global currency, stating that no major economy would allow that to happen. I’ll tell you another story that is underreported, but worth paying attention to. Bitcoin is really controlled by China. 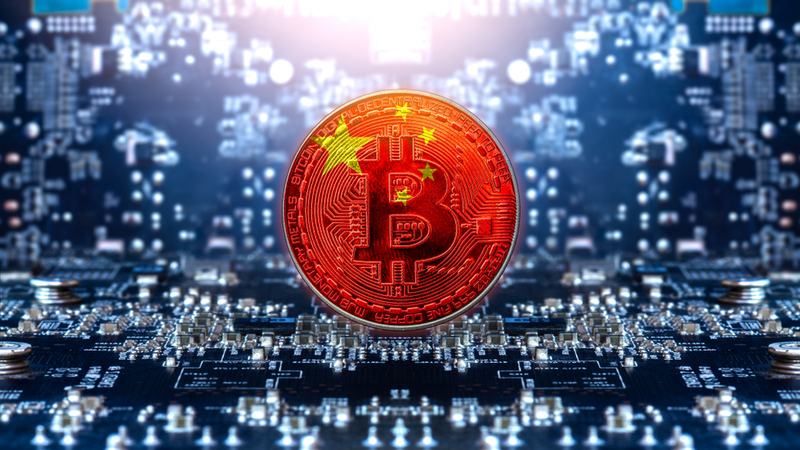 There are four miners in China that control over 50 percent of Bitcoin. How do we know that China won’t intervene? How many countries want to use a Chinese-controlled currency? It’s just not going to happen. Garlinghouse revealed he owns Bitcoin but was quick to urge the audience not to take his opinions as investment advice. Unsurprisingly, he expressed his confidence in Ripple’s native asset, XRP, which he described as superior to Bitcoin. While Bitcoin can take up to 45 minutes to settle a transaction, XRP transactions are settled in 2-4 seconds. Banks will use what is efficient and cheaper. And if you deliver a better product at a better price… they will use it. Garlinghouse doesn’t value Ripple and XRP through the usual metric of market price. Rather, the value that Ripple unlocks is what’s most important to him. Ripple is changing the lives of the many unbanked or underbanked people across the world by giving them access to finance. When I think about the transformation, it is fundamentally changing the way millions participate in banking. We can fundamentally change the way this works, to bring an entire population up a step in the system. Ripple has come under scrutiny, with allegations that its XRP currency should be classified as a security. The company’s chief strategist, Cory Johnson, has refuted those claims, as have other senior executives at the San Francisco-based company. This has done little to quell the rumors that the SEC will ultimately categorize it as a security. This would force most of the crypto exchanges that currently list it to delist it or apply for additional licenses. Bitcoin and Ether, in contrast, have both been deemed to not be securities by the U.S. Securities and Exchange Commission. The SEC chairman was the first to clear Bitcoin before the regulator’s Director of Corporate Finance later came forward to clear Ether. XRP is still not cleared, and the XRP community is eagerly awaiting word from the regulator.